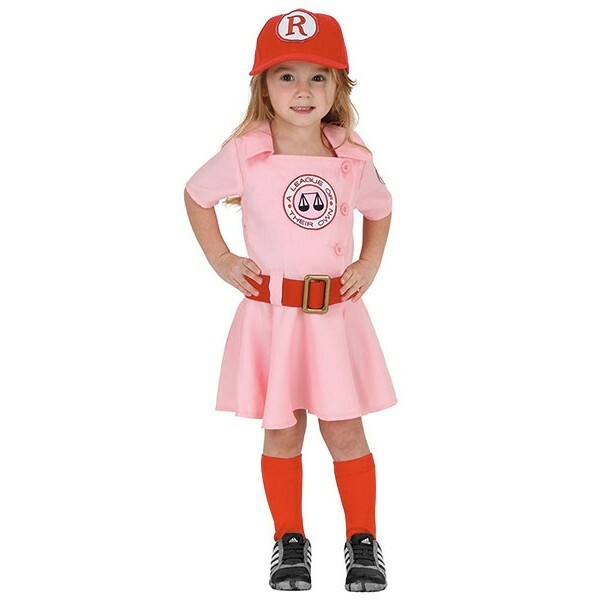 You can teach your little girl that there's no crying in baseball with this cute A League of Their Own Dottie costume for toddlers. 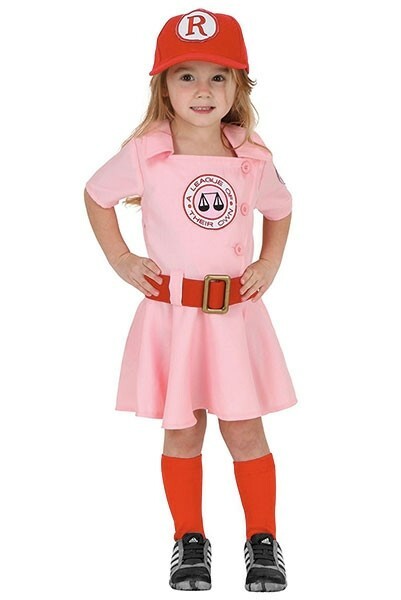 The set includes a dress, belt, hat, and socks that match Dottie's Rockford Peaches uniform from the movie. It's the perfect choice for any young baseball fan! Please note: shoes and other accessories not included.